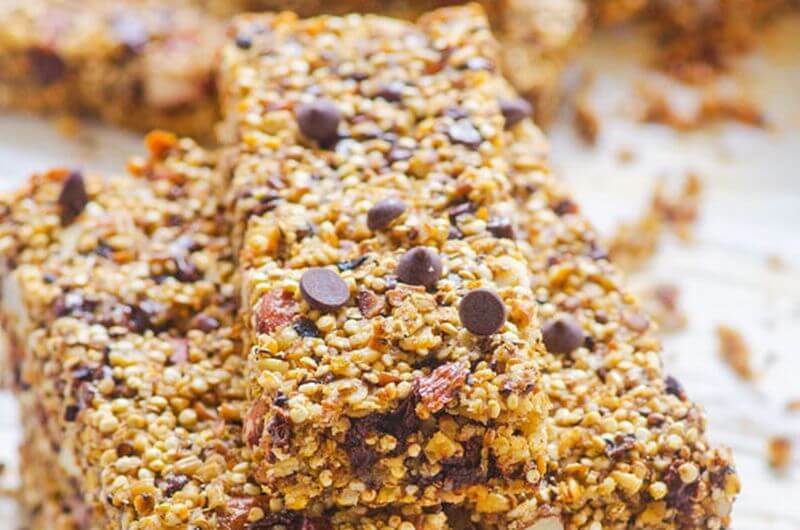 Homemade granola bars are the ultimate healthy on-the-go snack, and here are 20 healthy recipes that you’re going to love. Packaged granola bars, whether they’re sold in boxes or individually wrapped, are made mainly for convenience, not nutrition. 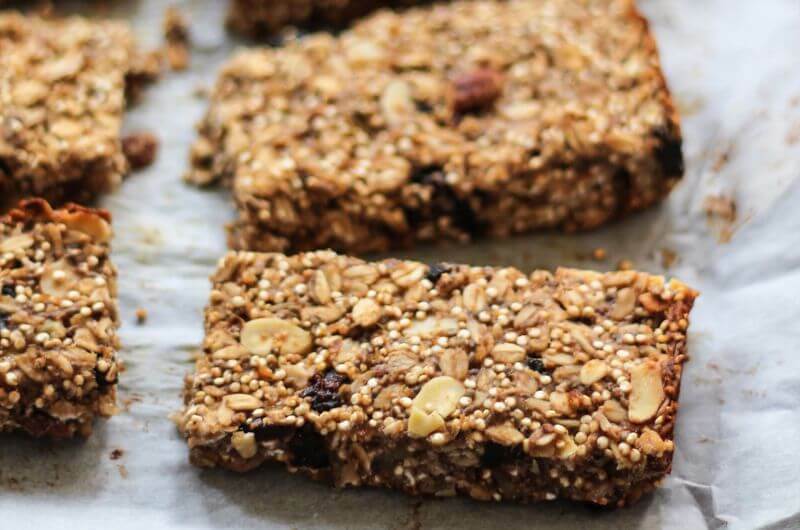 It’s surprisingly simple to make granola bars at home and ensure they have all the macro- and micronutrients you need. It’s also easy to customize them with or without nuts, dried fruit, chocolate chips, and other goodies. Now, even with so many options of mix-ins, you might think granola bars can only go so far before losing your interest. It’s just oats and trail mix staples, right? 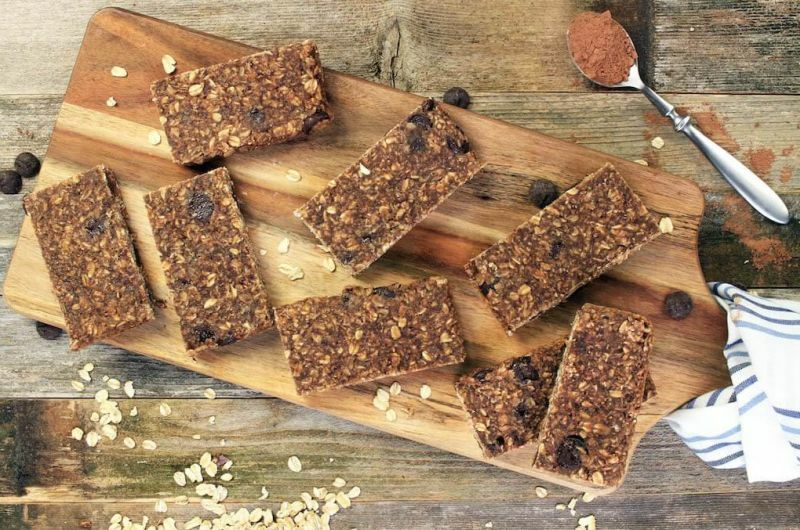 A granola bar recipe can be as easy as pulsing together peanut butter, oats, and dates in the food processor, but you can also get fancy and make nutrient-dense bars with a long list of tasty ingredients. And many are baked, of course, but many others can also be as simple as stirring everything up and pressing the mixture into a pan to set. Whatever your preferences…there’s something in here that you’re going to love. I promise! 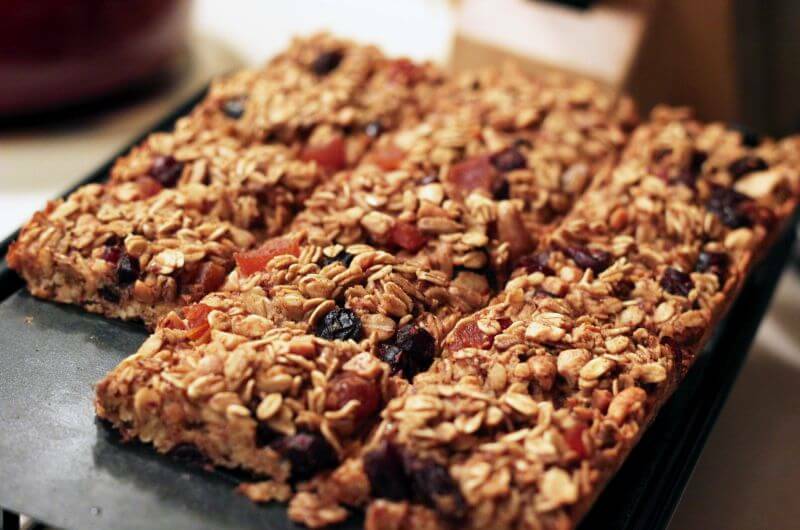 Granola bars tend to be loaded with dried fruit and chopped nuts, but there’s another way. 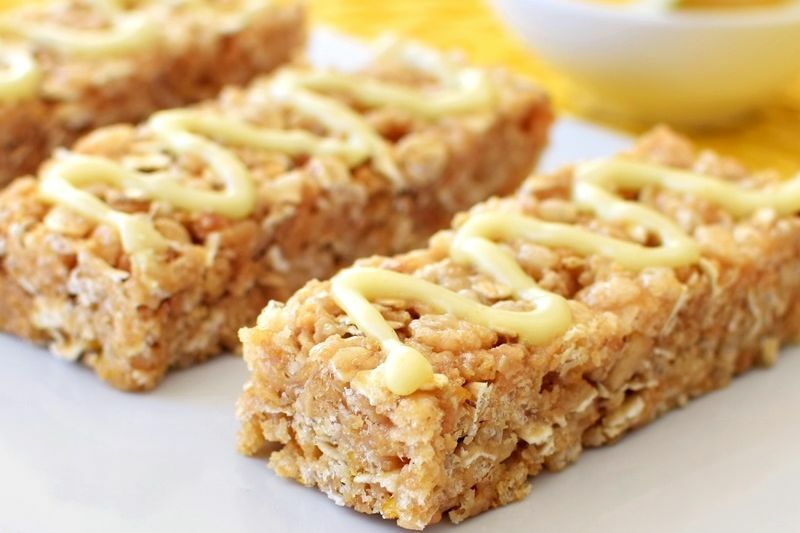 This no-bake bar is like a healthy lemon cookie. In fact, it actually has crunchy lemon cookie pieces mixed in. But unlike most cookies, which have processed flour, these granola bars are mostly made of rolled oats and healthy brown rice cereal. 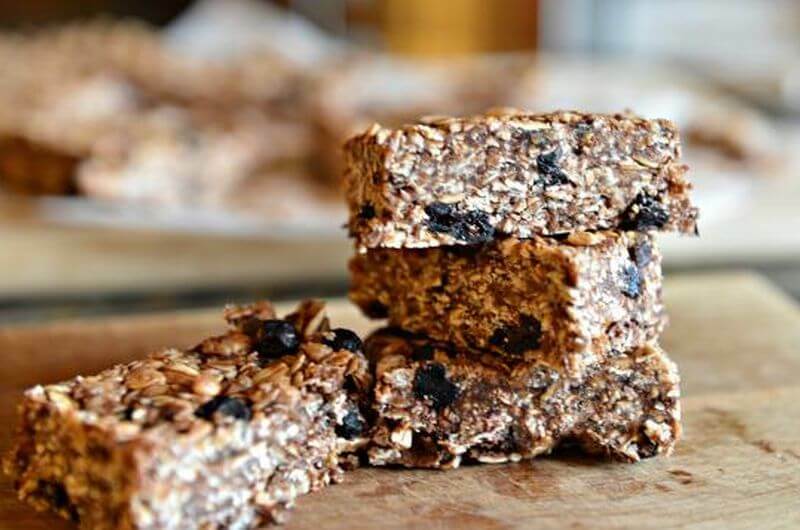 Want to take the first step into making your own protein bars? This recipe is a great place to start. 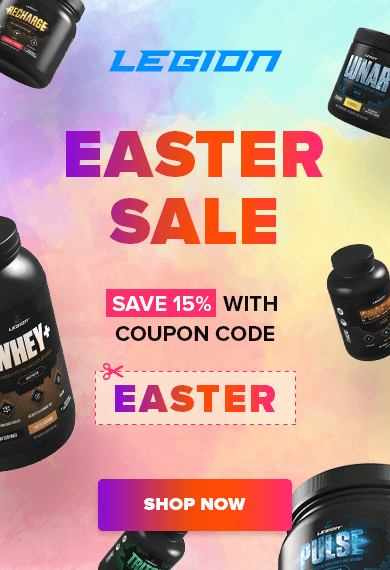 There’s hardly any time investment required and it’s easy to adapt to your taste by using your favorite protein powder – any flavor you have on hand will probably work. Chocolate would be delicious, of course, or you can add mini chocolate chips on top. 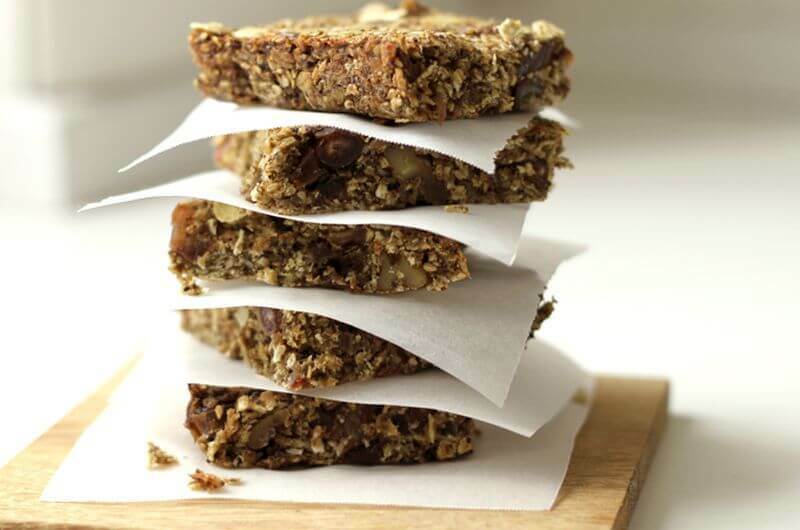 If your go-to energy bar is the Kind brand – known for a blend of crunchy nuts and chewy dried fruit with a glazed holding it all together – try this recipe for an easy homemade version. There’s no oil, so all the fat content comes from coconut, almonds, and cashews. The only thing about these granola bars is, like the original, they’re prone to stickiness and should be kept cool to keep it under wraps. Pack these in lunchboxes and gym bags rather than bringing them on the hot hiking trail. Premade granola bars that taste like a Reese’s peanut butter cup can win big in the flavor department, yet fall short when it comes to nutritional benefits. Even the varieties with protein, like Jif peanut butter bars, have more sugar than anything else, and you’ll be eating hydrogenated oils too. These homemade granola bars have ground flaxseed for healthy fats, plus just a teaspoon of pure honey per serving. Even if you’re intimidated by baking, these granola bars are within reach. All you need is a pot to put on the stove, a square pan to go in the oven, and five ingredients to mix together. Aside from the oats, the main ingredient is protein powder – and lots of it. Of course you can use vanilla, a flavor you probably keep in the kitchen at all times, but luckily this recipe is so simple it’s easy to adapt to other flavors, like Legion WHEY+ cookies and cream. 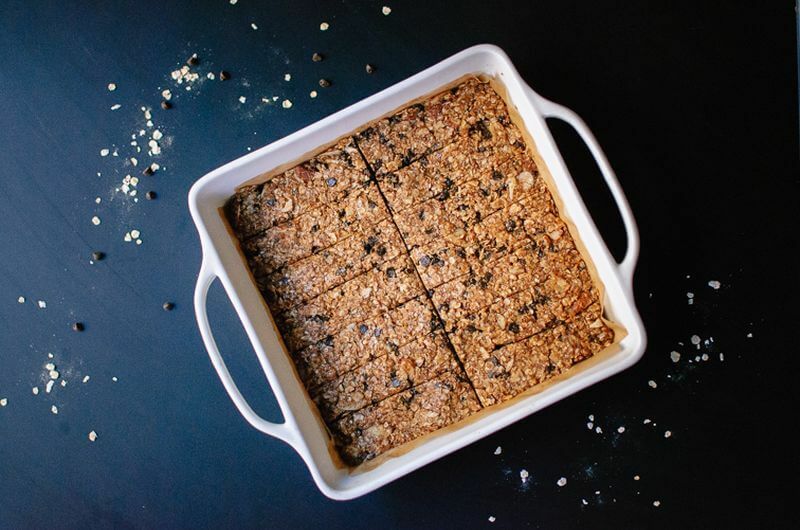 Quinoa isn’t just nutritious but makes your bars extra crunchy too. Otherwise, the taste here is really familiar with almonds, honey, and chocolate chips. 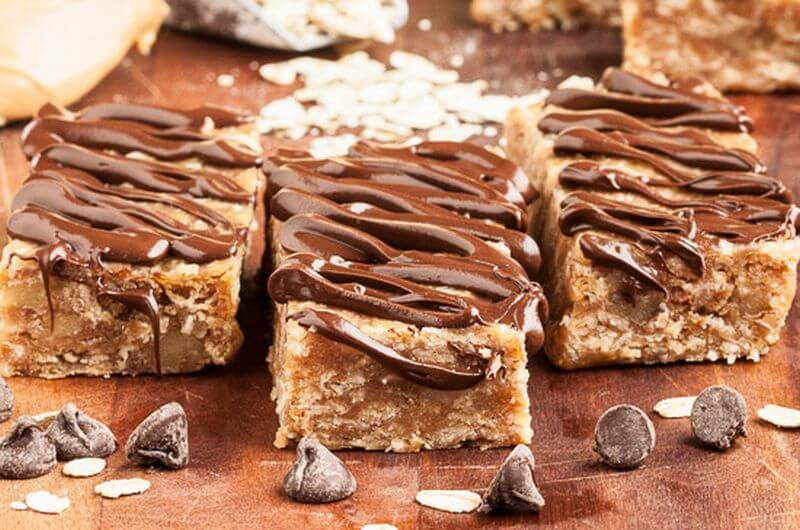 Since they’re baked, these protein bars have the unique added benefit of egg whites as a protein-rich binder to hold all the goodness together. 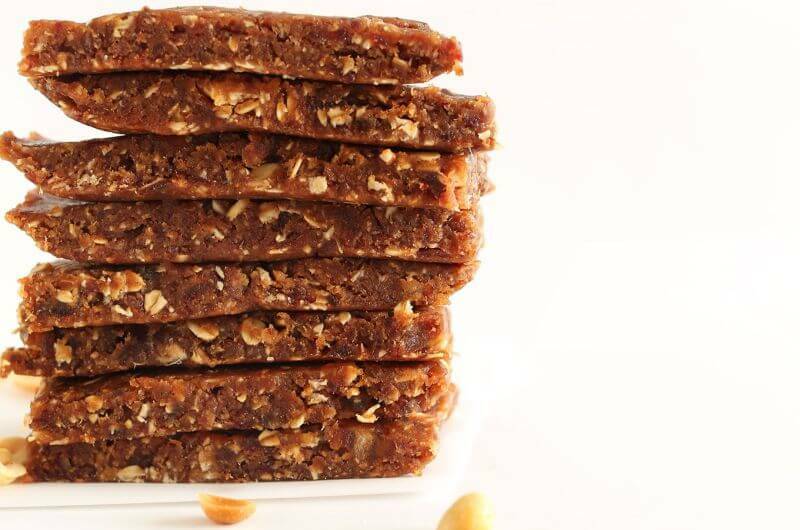 There’s no better place to go for variety in your portable energy bars than Power Hungry, where you’ll find this recipe. 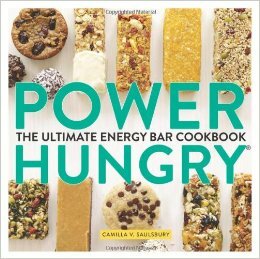 This cookbook has recipes for various granola bars like Greek yogurt muesli, breakfast bars like Chai tea, and even desserts like chocolate-mint fudge protein cookies. If you’re stuck in a rut with raisins and cranberries, you’ll love the unique flavor of goji berries paired with coconut and cardamom. 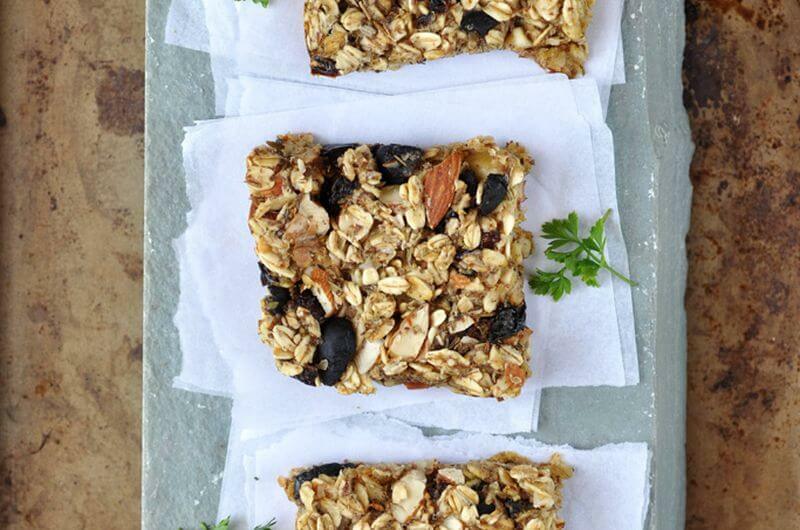 Granola bars don’t have to be crunchy or chewy. 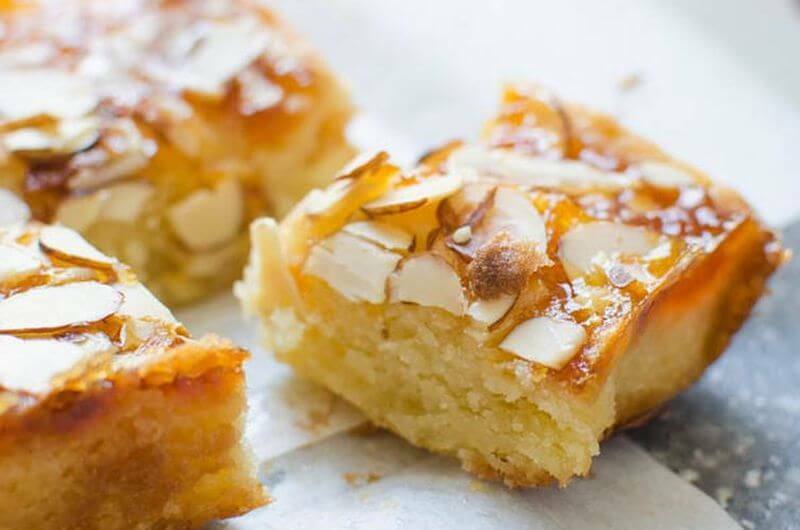 These are soft and crumbly, more like cake or a healthy alternative to brownies. To make a texture that’s closer to a baked good, the batter uses an egg and milk. Aside from that, you’ll still find favorite mix-ins like walnuts, seeds, and dried fruit like figs or raisins. It’s important to get enough protein, of course, but it’s also a good idea to mix up the sources of protein in your diet. Hemp powder is about 50% protein by weight so these don’t have the lean macros you might see on the nutrition label of packaged bars, but they’re made of whole foods, all healthy ingredients that you can source the quality of yourself. When you need a granola bar for a long hike or run, be sure to pack one of these in your bag to refuel when your energy level starts to dip. They’re loaded with the same good-for-you ingredients that you’d want in a nutritious trail mix: walnuts, almonds, dried fruit, and seeds. And what holds them together isn’t oil or syrup, but mashed banana. 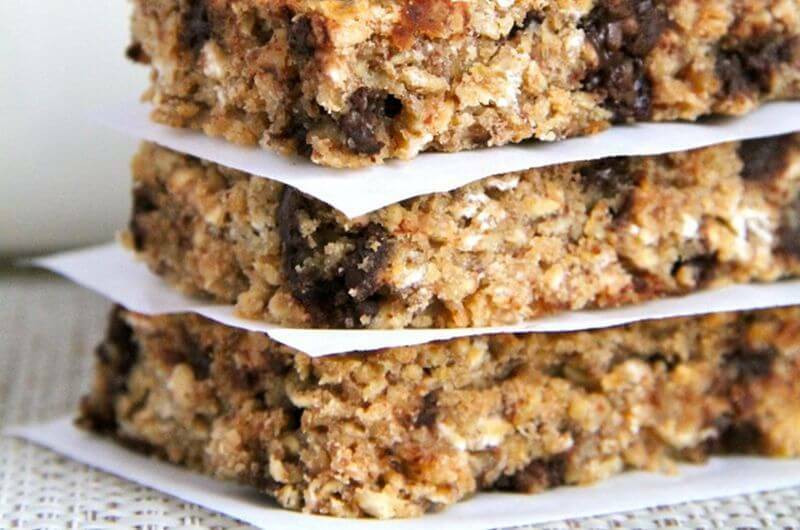 That’s right – these granola bars have absolutely no added sugar. This is a great snack for everyone – from busy moms who need an on-the-go treat to appease picky eaters or sensitive tummies, to vegans who want something to make in a jiffy and have on hand for whenever hunger strikes. You’ll need a food processor, but there’s no oven required. And these will keep in the fridge for a couple weeks or the freezer for at least a couple months. A lot of granola bars will use peanut butter or chopped nuts for protein as well as filling, healthy fats. But maybe you don’t love the flavor, or need to keep it food allergy-friendly. This recipe uses coconut oil, so there’s no need to mix in nut butter. Like all fats that are naturally occurring in nature, coconut oil comes with health benefits such as boosting your immune system, improving skin quality, and even staving off diabetes. Have a Clif bar habit? These homemade granola bars will replace them with wholesome nutrition and save you money in the process. The mixture starts with a combo of oats, quinoa, and chia seeds for complex carbs and healthy fats that will keep you full. 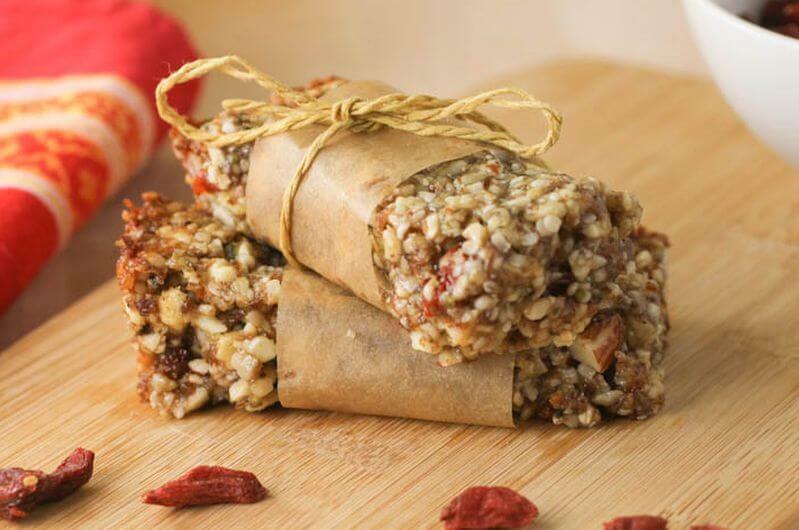 Then, add any of your favorite dried fruits and chopped nuts to customize these snack bars. 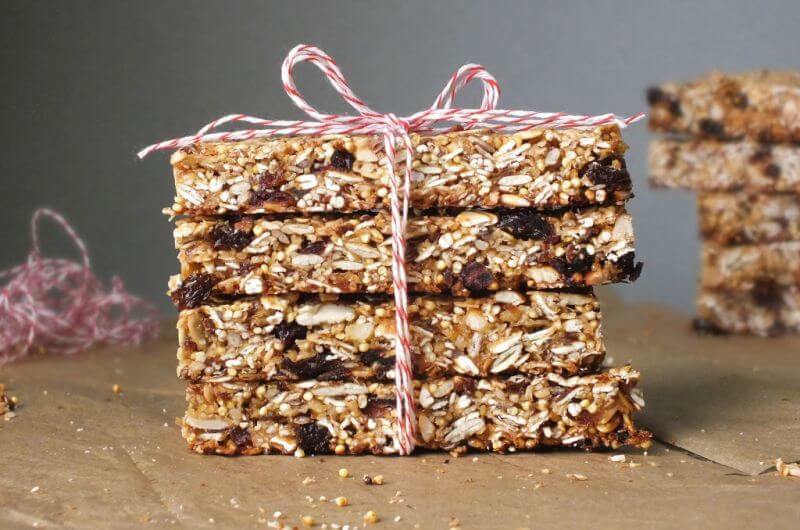 If you’re hooked on the packaged chewy granola bars, why not make some at home? That way you can add everything you want – like protein powder and ground flaxseed – while leaving out the unnecessary extras like corn syrup, preservatives like BHT, and artificial flavors. 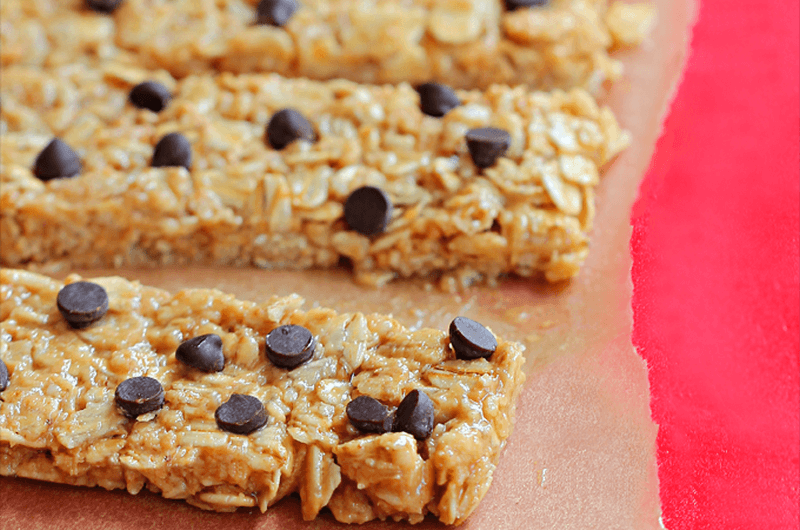 For chewier bars, be sure to use quick oats and not the old-fashioned kind. They’re rolled down to be thinner, which not only helps them cook faster but will affect the texture in a granola bar so the oats will better meld together. This recipe has everything you could want in a granola bar: oats, millet, peanut butter, three kinds of fruit, three kinds of seeds, and coconut oil. With both raw honey and brown rice syrup to sweeten up these superfood bars, you’ll use a little bit of everything in your healthy pantry. Of course, you can also swap out the exact ingredients to taste – like almond butter for peanut butter, or dried mulberries instead of cranberries. 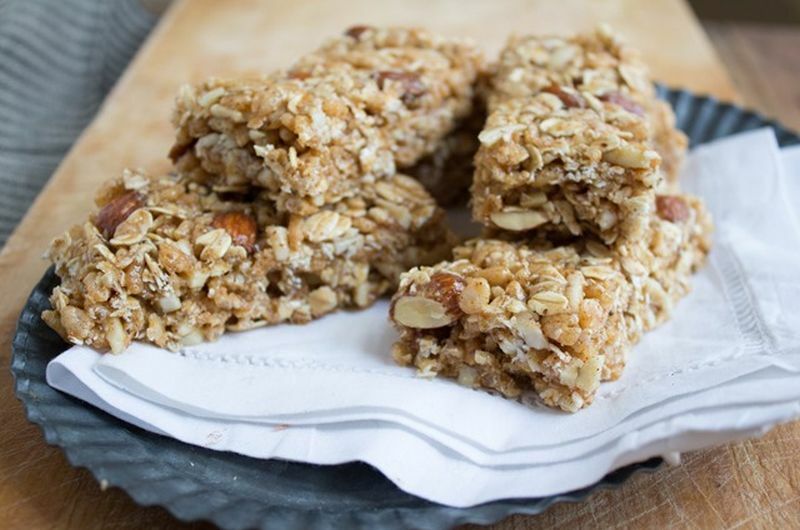 These no-bake granola bars are shockingly easy to make, and you’ll wind up with a snack that’s better tasting, better looking, and better for you than the store-bought kind. And since they don’t have to go in the oven, you can sweeten the chocolate chip bars with raw honey and reap all the health benefits. Pure honey is full of antioxidants, aids digestion, and can help with pollen allergies as long as you look for a local source. 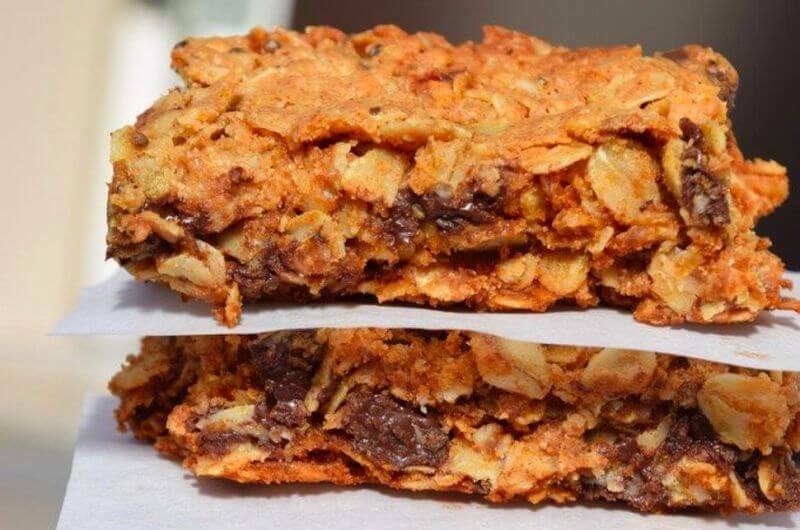 Can’t decide between a crunchy granola bar and a chewy one? These deliver the best of both in one bite. Crunchy on the outside, soft on the inside, they’re like a homemade peanut butter cookie turned granola bar. They’re also quick to assemble, ready in about a half hour. Allow them to cool before being sliced, and then store extras in the fridge for a week or the freezer for up to three months. 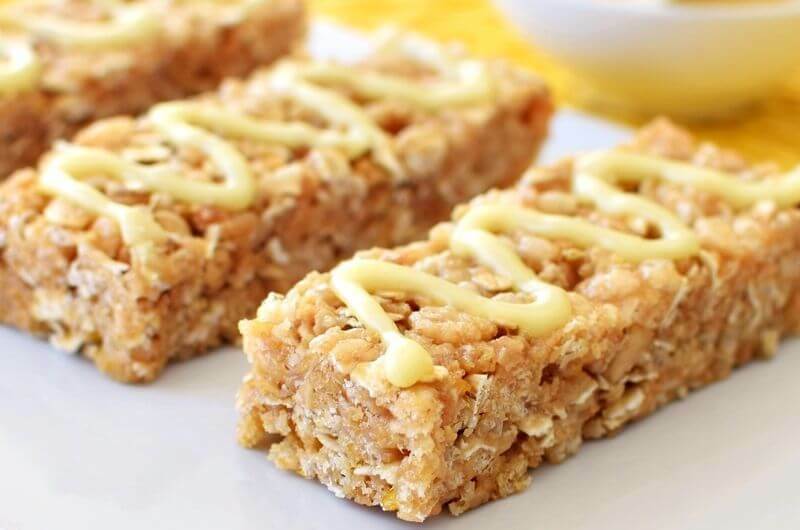 A lot of granola bar recipes opt for pure honey as a sweetener. That’s because it can help hold them together while providing all-natural, unprocessed sugar. It goes well with fruit and nuts, of course, but honey can also be great in savory snacks. This recipe still has oats, puffed rice, and almond butter. However, you’ll also find unexpected seasonings like black pepper, thyme, and irresistible honey mustard. The boxed chewy bars found in grocery and convenience stores might have put granola bars on the map – or more accurately, in backpacks worldwide. But the list of ingredients is so long with unnecessary items like caramel color, artificial sweeteners, and BHT. Yuck. Simplify with these made-from-scratch bars that are wholesome and more satisfying than anything in a foil wrapper. 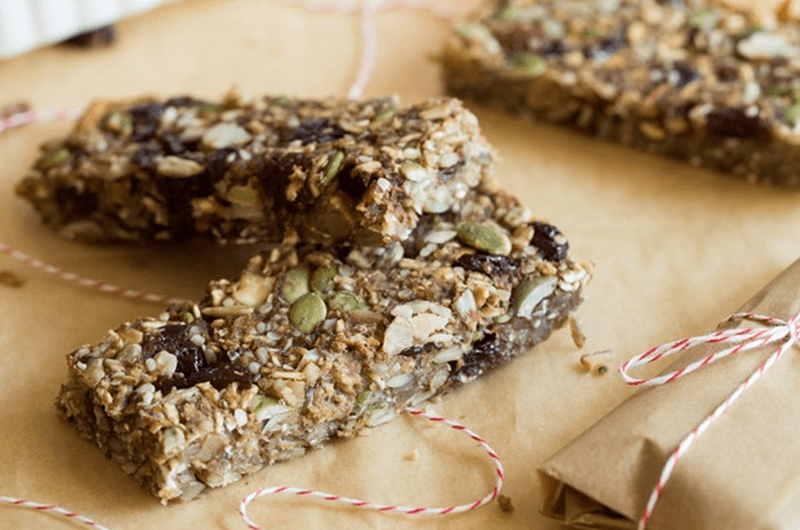 Want a low-sugar granola bar without artificial sweeteners? Go savory. Oats have a mild flavor that works with almost any other ingredients. Since there’s nothing inherently sweet about granola, you can switch things up with seasonings like oregano, cumin, and chili flakes. And instead of the usual dried fruits, this recipe mixes in sun-dried tomatoes and olives, which are delicious with the almond oatmeal base. 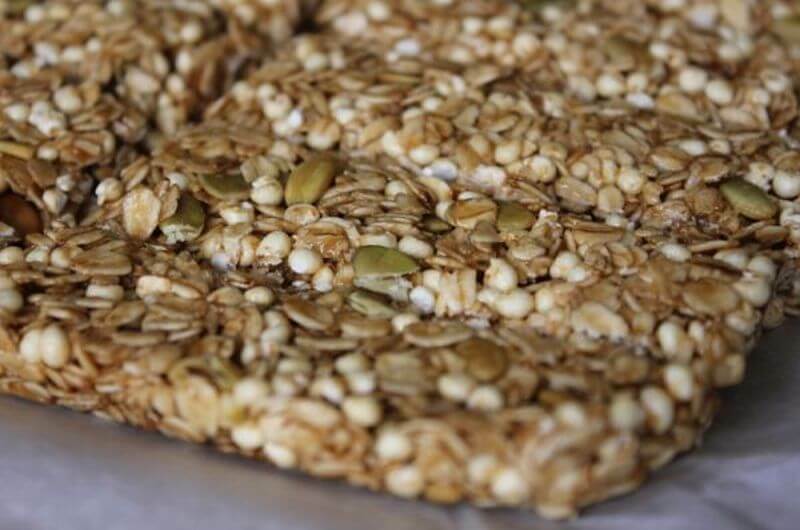 What did you think of these healthy granola bars? Have anything else to share? Let me know in the comments below!